Robert and Riley are back at Australia Zoo, they are helping with filming some footage of cassowaries. Whilst doing this Robert tells RIley he believes many dinosaurs had feathers. Riley thinks there is no way this is possible, until that magic bone of Robert’s transports them back in time once more. This time they end up in prehistoric Asia where the two boys find out more then they thought possible about oviraptors and yutyrannus huali. This book continues the fast pace set in the first three. There is plenty of adventure still to be had as well as loads of things to learn about both dinosaurs and animals that are still alive. 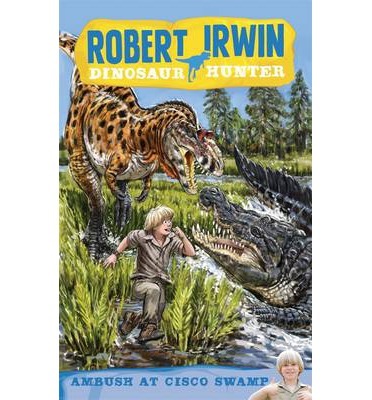 Robert’s passion for animals and dinosaurs is infectious, if you know someone with even a passing interest in this topic gives these books a shot, it may just be what you need to get someone reading. Robert is on a holiday with his best mate Riley. They are visiting Riley’s Uncle Nate in the Canadian Badlands. For Robert this is an awesome place for a holiday because it’s a place where loads of dinosaur fossils have been found. Robert is thrilled when he gets pulled back in time once more and to make it even better this time Riley has come back with him. Riley doesn’t have Robert’s fascination for dinosaurs though but even he has to admit they are pretty cool when you come face to face with them, not to mention more than a touch scary. I think this series is going strong. Robert has an infectious nature and the fact he is an actual person probably adds some appeal. Riley is a great counter to Robert, he’s into dirt bike racing and other not so geeky things. The boys have fun and that fun helps keep the action moving. 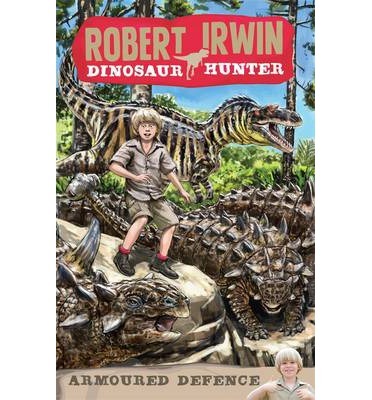 Worth looking at especially if you want something about dinosaurs as these books contain plenty of facts. Robert is in Texas with his family, they are doing some research on the American alligator. Robert loves this sort of thing though he is finding himself easily distracted by getting into trouble with his best friend Riley. Even though the focus of this trip is the alligator Robert is still excited about the fact he is in the same area where the ancient predator deinosuchus roamed. Once again Robert finds himself swept back in time and this time he comes face to face with the alligators brutal ancestor. This is the second book in this series. It is proving to be such a fun read. It is simple text and the story moves along at a great pace. 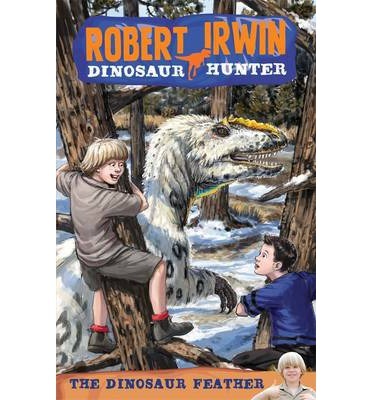 There is plenty facts about dinosaurs thrown in, I think this is a great format for this as the kids can relate to Robert’s fun nature and his excitement about dinosaurs. A great blend of fiction and fact. 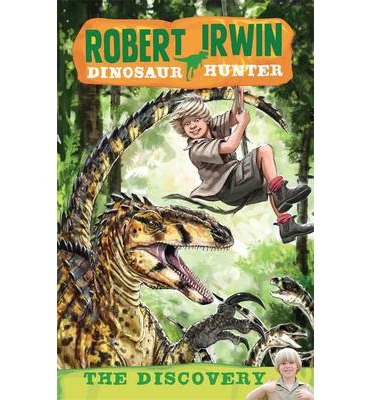 For his birthday Robert Irwin is taken on a dinosaur dig. He is so excited when he finds an actual fossil. What he hadn’t expected was to find a way to travel back in time. Robert finds himself in the cretaceous period, trying to avoid a dinosaur stampede and being eaten. He is so excited to be able to see things with his own eyes rather than imagining how they were, but Robert’s biggest problem is how to get home. This is the first book of what could be a fun new series. The text is easy to read, the story fun. It’s written at a good pace for the age. It makes no bones (hehe) about Robert being excited about animals and dinosaurs rather than sport, his best mate has that covered though, he wants to be a dirt bike champion. The other bonus in this series is it is loaded with facts about dinosaurs, everything from techniques used in digs to things about different dinosaurs. 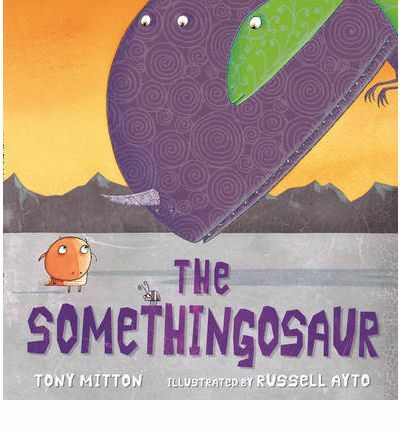 This is perfect for readers who love dinosaurs and adventure. Oh my goodness, Oh my goodness! Look what I found. What is not to love here? 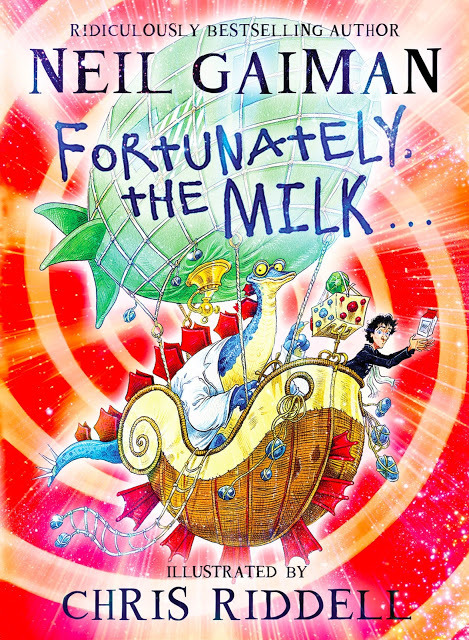 Neil Gaiman and Chris Riddell, I totally love these guys. I must, must, must get my hands on this book. Unfortunately I have to wait until later in the year. How can you not adore these illustrations. Also while I’m here lets hear from the wonderful author on what the book is about. An egg is all alone, with a crick, crickle, crackle it begins to hatch. A cute little creature has come from the egg but what can it be? It kind of looks like a dinosaur, but which one? And where is it’s mummy? The brave little Somethingosaur sets out on a quest to find it’s family and a home. He may be a little more different than you originally think. A wonderful heartwarming and fun tale of being alone and finding a home. 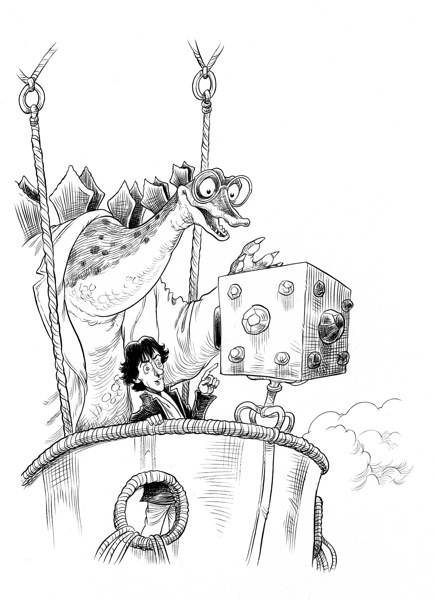 There is just something appealing (possibly the wide-eyed illustrations) about the Somethingosaur. His story is entertaining, brave and wonderful to read, told in rhyming text that children love. An enjoyable picture book.